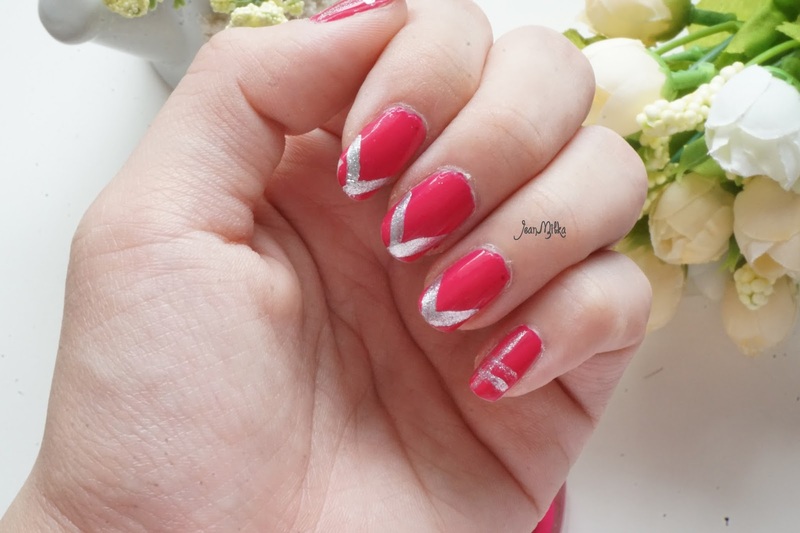 It has been quite a while since my last blog post about nail art. I am really sorry for that, I am just not in the mood for the nail art so, I only wear one color nail polish all over my nail at this moment or simple nail art like today post. Some of you probably already know that last month, Beauty Blogger Meet Up held a beauty bazaar and talk show at Senayan City, and I am one of the organizer. 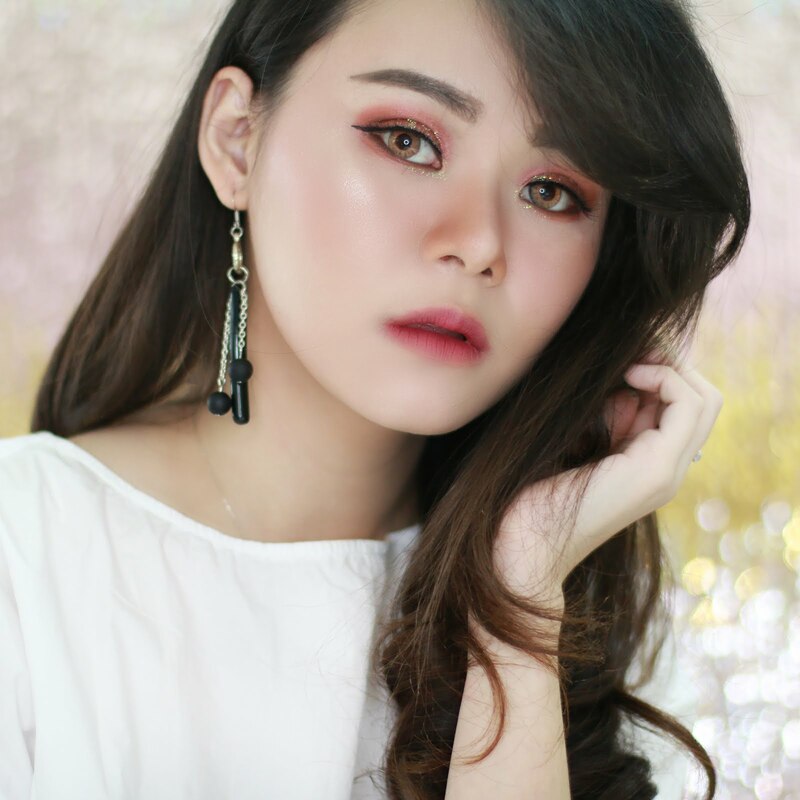 It was such a busy week for me and also the other 4 girls (Carnellin, Istiarina, Meliani and Shinta) who organize everything behind Beauty Blogger Meetup. On that particular event, Max Factor partnership with us present a makeup class for the bloggers. Inside the goodies bag, I got this one particular product that caught my attention since the first time I see it. It was Max Factor Gel Shine Lacquer nail polish. First thing that caught my eyes is the color. I got a super bright pink, fuchsia color which is named Twinkling Pink. The color is really stood out for me and I don't have any nail polish in this color before. This is the fuchsia shade that I would love to have on my nails. The color looks good on both finger and toe nails. The second thing that caught my eyes is the word "Gel". Are you girls aware of all that hype surrounding gel nail polish? The real shiny ones that lasts longer that ordinary nail polish? I have yet to sample any gel polish but than again, who wouldn't want a nail polish that could last for 14 days straight without chipping? This "Gel" polish is actually not one of that kind of gel nail polish. You will need an UV Light for a real gel nail polish and you need to get it done at nail salon which is not practical in my opinion. 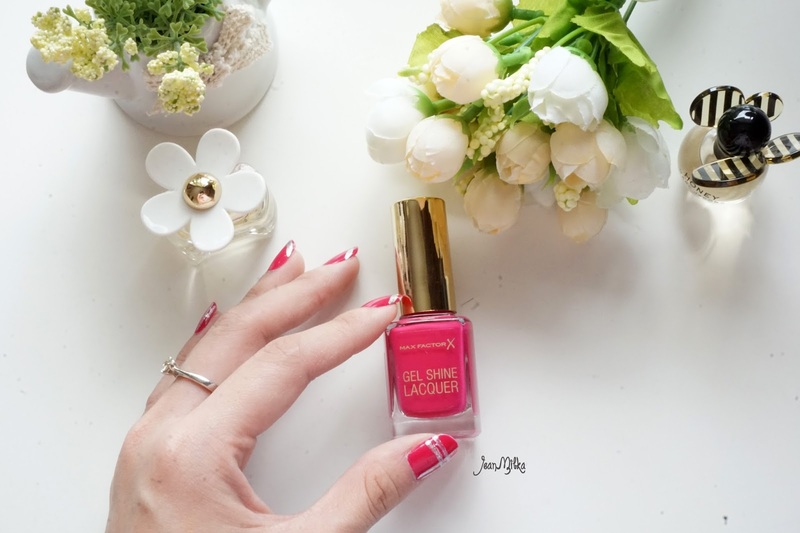 Max Factor Gel Shine Lacquer is basically a regular nail polish that imitate the shine effect that you can only get from a gel nail polish. As you can see, it's shine very bright and looks flattering on my nails. Even thought it does a great job in imitating the shine effect from the real gel nail polish, it only last for about 4 days before start to chipping. Max Factor Gel Shine Lacquer retails for about 120.000 IDR *I will check to the counter how much it is and update you, but it's about 11 USD* and available in 9 colors. It's disappointing that they only have 9 colors for this particular nail polish, but I will definitely buy more of them in near future. I saw they have Glazed Cobalt which is a bright dark blue and Vivid Mermillion which is a bright orange, I am going to pick this two shade next time I visit Max Factor counter. The brush is a fine small brush that make it easy to apply. I also like the consistency that is not too thick, more like a gel consistency that glides smooth during the application. Twinkling pink is opaque in one coat, but I like to have 2 coat so the color looks evenly spread on my nails. 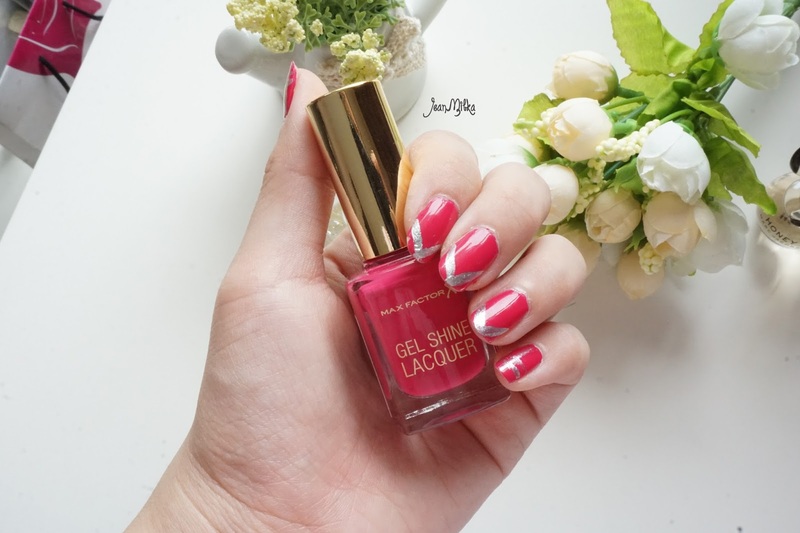 2 komentar on "Max Factor Gel Shine Lacquer Review and Swatch"